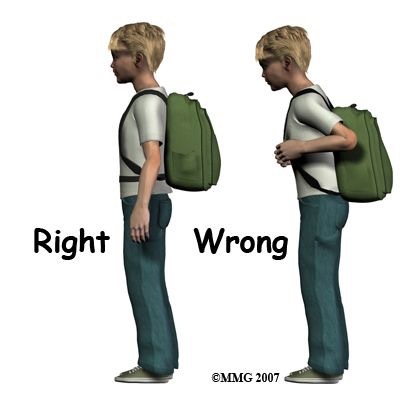 A properly adjusted back pack will save your child’s back! It's great to see all the smiling faces on social media getting back to the grind for their school year! Of course, along with the biking, walking, and bussing, comes the backpack that, whether it be heavy or light, can add a substantial load on your child's back. 2. If there is an available strap that can be used across the waistline, use it! This will unload the back more than you know! 3. Taking the extra 30 seonds to properly pack the bag will ensure that the weight is evenly distirbuted and nothing weirdly shaped (running shoes, small book, is digging into your child's back! 4. BONUS: use BOTH shoulders! We hope these tips help your child's “back” to school routine become much easier!